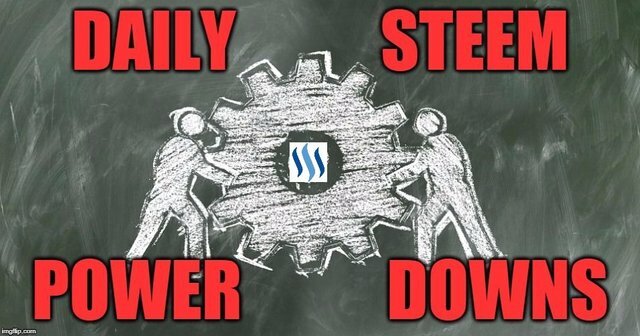 🐒 Tuesday's Power Downs : Steem being Powered Down on Tuesday's only . I have added an average line on the chart . Tuesday's Powered Down Steem is ABOVE the average Line for Tuesday's , by 4,831,355 more Steem powered down this Tuesday than the average for Tuesday's . All ideas , trade signals , opinions and/or forecasts are for informational, educational and research purposes only and should not be construed as a recommendation to invest, trade, and/or speculate . Your posts are always informative my friend. Keep up the good work!! !